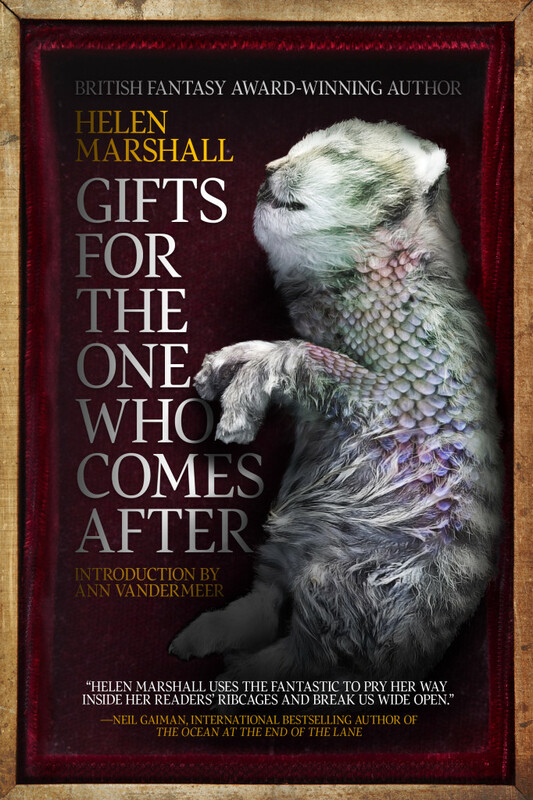 BCS author Helen Marshall (“Crossroads and Gateways” in BCS #151) has just released her second short fiction collection, Gifts for the One Who Comes After (Chizine Press), and BCS is giving away a signed copy! Helen Marshall’s work has been nominated for the Aurora Award and the Bram Stoker Award, and has won the Sydney J. Bounds Award from the British Fantasy Society. Gifts for the One Who Comes After features “eighteen tales of love and loss,” Chizine Press says; “Dazzling, disturbing, and deeply moving.” These include “Crossroads and Gateways” as well as other pieces featuring a son trying to reconnect with his father through a telescope that sees into the past, a girl discovering what lies on the other side of her mother’s bellybutton, and Death’s wife preparing for a very special funeral. To enter this giveaway, comment on this very post (here’s a link) and tell us your favorite BCS story that features myth or aspects of the mythic, and briefly why. “Crossroads and Gateways” deals with myth and fate and destiny; what is your favorite BCS story that tackles such matters. Enter soon, because this giveaway ends Tues. Sept. 23, at midnight PST! This giveaway has ended. Or whatever mythic BCS story is your favorite. You must leave your comment on this Gifts for the One Who Comes After Giveaway post. Comments left anywhere else will not enter you in the giveaway. You must mention a story from BCS that arguably contains something mythic. Comments that do not mention a story from BCS will not enter you in the giveaway. You must post your comment before midnight PST on Tues. Sept. 23 . Any comments posted after that will not be eligible. BCS will conduct the random drawing from all eligible entries. The signed copy of Gifts for the One Who Comes After will be mailed to the winner. Hmmm... it's a tie between: Eighth Eye by Erin Cashier. That's like a myth for spiders. Bearslayer and the Black Knight by Tom Crosshill. I like its over the top bellicose mythic depth. I liked "The Empire of Nothingness." "To Slay With A Thousand Kisses" has stuck in my head for quite awhile. I also name "Sekhmet Hunts the Dying Gnosis" by Seth Dickinson, which applies myth in its most ancient purpose (using story to confer personal significance on phenomena beyond human control or ken) to something relatively new, the notion of entropy as a motive force in the universe. I will second "The Empire of Nothingness"